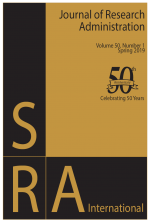 The Journal of Research Administration (JRA) is turning 50 this year! Throughout the year, we will celebrate this half a century of research administration scholarship through a number of initiatives and events. First, we will be re-publishing the first issue of the journal in July 2019. Each issue published this year will feature a cover that harkens back to that of the first issue’s cover. We will also be publishing special commentaries throughout the year including Ira Goodman’s commentary in this issue in which he reflects on his 50 years working in the field of research administration. At the 2019 annual meeting of the Society for Research Administrators International (SRAI), we will host a number of sessions that will focus on the scholarship of research administration and we will take the opportunity during these sessions to further celebrate our golden anniversary. In celebrating our milestone of publishing for 50 years, it is interesting to reflect on the general history of the development of research administration as a career. The story begins with the onset of research in higher education and the increased requirements for research regulatory reporting and regulations. President Roosevelt provided the first critical step in creating research guidelines and recognizing the importance of comprehensive and ongoing research (Campbell, 2010; Myers, 2008b). Many historians recognize this as the catalyst for the need for research administrators (Beasley, 2006). When professional societies began to surface in the 1950’s and 1960’s, SRA (“International” was added to the society’s name in 2000) was founded and additional support systems grew in direct proportion to the number of new regulations created to oversee America’s investment into research. Shortly after the 1980’s, the demands for research accountability expanded and the explosive growth of biomedical research during the 1990’s lead to an onslaught of regulatory compliance needs that faculty and non-research administrators could not fill and research administrators stepped in to fill the gap (Brandt, 1997; Campbell, 2010; Coscio, 2006; Kerwin, 1982; Myers, 2007). Finally in the 1990’s through today, research administration is truly a separate and recognized profession by peers, faculty, and societies and represents a critical piece in the conduct and management of research (Brandt, 1997; Kirby, 1995). As the field of research administration grows, it becomes more important to understand and formalize the education and training of research administrators. As such, it is important for us to continue publishing our research on research administration and management. JRA was a natural extension of the founding of SRA in 1967. The founders of the society realized that the establishment of a journal was critical to disseminating the scholarship of its members and, as such, the first issue of the journal was published in July 1969 following the second annual meeting of the society. The first article in the inaugural issue of JRA was a report summarizing activities of the research committee of SRA. This committee was charged with establishing a set of professional standards for research administrators. Not surprisingly, no data existed on what a research administrator was at that time so the committee developed and disseminated a survey to over 400 individuals that was meant to serve as the basis for understanding the characteristics of a “typical” research administrator. The survey covered topics such as identifying the job sectors employing research administrators, the scope of their work, their job titles, their genders and ages, and their education background and levels. The committee concluded from the survey results that a “typical” research administrator at the time was most likely to be a middle-aged male that had postgraduate training in business administration and worked in an academic setting on functions that dealt with such activities as budgeting, accounting, salary administration, and employee relations (D’Agostino, 1969). The results of the survey and their reporting at the society’s 1969 annual meeting highlight some positives and negatives of our field in these early years. Suffice it to say that we now celebrate a much more diverse understanding of what it means to be a research administrator. In fact, we are so diverse that there likely is no single way to define a “typical” research administrator these days. Our diversity spans personal and professional demographic profiles and this diversity adds essential value to our profession. In addition to the reporting of the aforementioned survey results, the first issue of JRA also published several other papers that speak to the heart of an emerging profession. For example, one article titled “Program of Research on the Management of Research and Development” builds the thesis that there is a need for research administrators to study and have influence on improving how research activities are managed in order to further improve how an organization manages these activities (Rubenstein, 1969). Does this sound familiar? The articles in the journal’s first issue are fascinating reads when you put them into today’s context. Interestingly, we are still thinking about and developing some of the ideas presented in these early articles. Over the years, since publishing the first issue of the journal, we have certainly evolved as a profession and we have sharpened our scholarship in the field, but we continue to face some of the same opportunities and challenges as our predecessors. We encourage you to read the first issue of JRA when we re-publish it in July and reflect for yourself on the past history of the society, the journal, and our field. Looking into the future, research administrators will need to continue to enhance our current practices while, at the same time, dealing with emerging and expanding challenges, including but not limited to those relating to commercialization, partnerships with business and industry, intellectual property, interdisciplinary and multi-site efforts, and increasingly diverse foundation and for-profit sponsored program support. These will require the development of new models and approaches to sponsored support agreements that address such concerns as ownership of intellectual property and raw data, publication permissions, and indirect costs or alternative models for recovery of such costs. Additionally, the increasing levels of multi-site and transdisciplinary groups jointly pursuing funding will require the ability to rapidly and effectively develop grants and contract agreements that are able to address the nuances of apportionment of funds and recognition for leadership of various aspects of funded projects, as well as the differential processes and policies across participating institutions. Of course, as international collaborations with academic and for-profit entities continue to grow these challenges will be magnified, with the ever more complex issues confronting transnational intellectual property sharing. In addition to the content issues confronting research administration, we will also need to develop and implement increasingly complex and flexible electronic research systems that can be integrated with other systems of the organization, including both financial and compliance systems. These systems will need to also be ones that are careful to attend to decreasing the administrative burdens on investigator teams while at the same time providing for transparency, accountability and monitoring of projects. In closing, SRAI, JRA, and all of us as research administrators have much to be proud of as we look back on 50 years of research administration scholarship. We have much to owe to our predecessors, particularly our colleagues who have held leadership positions in the society and journal. We now stand on the shoulders of the past editors, editorial board members, and society staff that made each issue of JRA possible. We are indebted to everyone that has dedicated significant time and effort to the development of this field and the journal. We can also look forward to the future with much confidence as new leaders emerge and as the field continues to swiftly mature and advance into new areas. Nathan L. Vanderford is Assistant Professor, Department of Toxicology and Cancer Biology, College of Medicine; Assistant Director for Research, Markey Cancer Center; Director of Administration, Center for Cancer and Metabolism; Director, Appalachian Career Training in Oncology Program at the University of Kentucky; and Editor-in-Chief for the Journal of Research Administration. Jennifer E. Taylor is Assistant Vice Provost for Research and Innovation, Research Professor in the Walton College of Business at the University of Arkansas, and Deputy Editor of the Journal of Research Administration. Holly R. Zink, MSA, ACRP-CP is a Project Development and Education Manager in the Department of Pediatrics at Children’s Mercy Kansas City, and Associate Editor for the Journal of Research Administration. Beasley, K.L. (2006). The history of research administration in Research Administration and Management (p. 9-27). Sudbury, Mass. : Jones and Bartlett. Brandt, E.N. (1997). Research administration in a time of change. Journal of Research Administration, 29(1/2). Campbell, D.R.. (2010). The Role and Development of the Research Administration Profession in Higher Education. Master of Arts in Educational Administration, Washington State University, Pullman, Washington. Cosico, J. (2006). The legacy of a colleague: reflecting on who we are and what we do. Journal of Research Administration, 37(1/2). D’Agostino, R., Lasker, L., Nivin, D.T., Procter, R., & Stevenson, B.L. (1969). Profile of a Research Administrator. 1(1): 3-22. Kerwin, L. (1982). The research administrator: shield and promoter. Journal of Research Administration, 13(4), 5. Kirby, W.S. (1995). Understanding and managing sponsored research administration as a system. Journal of Research Administration, 27(3/4), 25. Myers, P.P. (2007). Celebrating the first forty years of the Society of Research Administrators International. Journal of Research Administration, 38. Myers, P.P., & Smith, M.C. (2008b). Research Administration in History: The Development of OMB Circular A-110 through Joseph Warner's COGR Subcommittee, 1976-1979. Journal of Research Administration, 39(2), 15. Rubenstein, A.H. (1969). Program of Research on the Management of Research and Development. Research and Development Management, 1(1): 46-68. Clinical trials must address a number of laws, regulations, and other sources of requirements when communicating privacy and confidentiality protections to potential participants. This article outlines relevant requirements from Common Rule regulations, Food and Drug Administration regulations, Health Insurance Portability and Accountability Act regulations, International Council for Harmonisation guidelines, the Confidentiality of Substance Use Disorder Patient Records statute, and Certificates of Confidentiality provisions under the 21st Century Cures Act. A consent form template is presented as one example of language that incorporates all of these requirements in an integrated manner that addresses some of the tensions among the various requirements. The research reported/outlined here was supported by the Department of Veterans Affairs, Cooperative Studies Program (CSP). Project prioritization is often an arduous task for any organization. This is particularly evident in large, complex organizations with matrixed management structures, such as the VA Cooperative Studies Program (CSP). 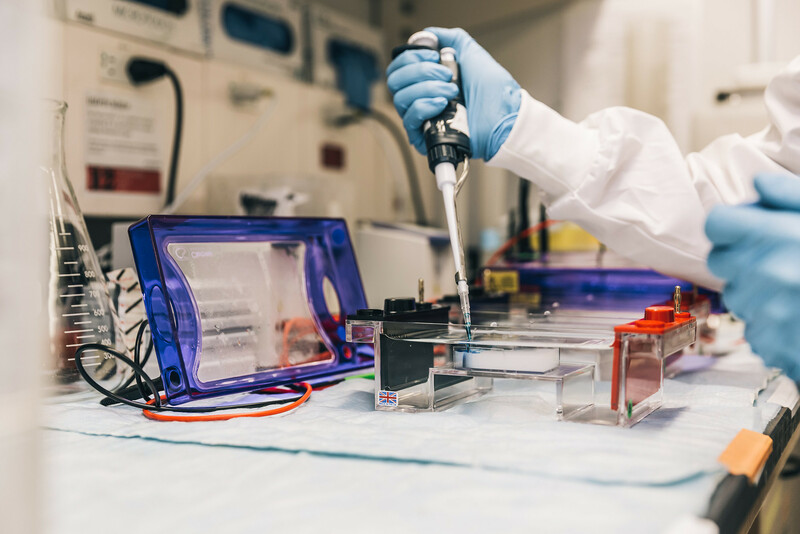 CSP is responsible for the planning and conduct of large multicenter clinical trials and epidemiological studies in the Department of Veterans Affairs (VA). CSP Health System Specialists (HSSs) have the primary responsibilities of facilitating alignment and coordination of program-level activities, and leading projects and initiatives to meet the goals of this clinical research program. There is an abundance of literature on Paired Comparison (PC) analyses to inform decision-making, but there is limited publicly available information on its use in clinical research administration settings. The purpose of this project was to determine the effectiveness of a PC analyses framework to inform decision-making in the context of the prioritization of projects assigned to or initiated by the CSP HSS group. Participants were nine HSSs that represented 9 of the 11 VA CSP Centers: 1 Clinical Research Pharmacy Coordinating Center (CRPCC), 3 Epidemiology Coordinating (EC) Centers, and 5 Clinical Trial (CC) Coordinating Centers. The CSP Program Manager also participated in this effort. Members were instructed by the HSS facilitator to complete two different versions of the PC worksheet in order to gain experience with using the PC method and to become familiar with its prioritization properties. The template for the PC worksheets was downloaded from www.mindtools.com. Participants were instructed to compare and rank predetermined values during the Values Paired Comparison exercise and projects of interest during the project Paired Comparison exercise. The Values PC exercise resulted in a clear ranking of the group’s shared values, with “Safety” rising to the top. The subsequent results of the Project PC exercise, when stratified across the “EC HSSs” and “CC HSSs”, showed that EC HSSs placed a higher value on projects that provided training for their role, while the CC HSSs placed higher value on projects that attempted to address program-level issues. When all participant scorings were tabulated together, three projects aimed at addressing program-level issues clearly rose to the forefront. This effort successfully utilized the PC analysis framework to prioritize a list of HSS projects. Using this framework allowed participants to prioritize a list of HSS projects. The framework also enabled the HSS group to identify shared values and to use them to assess the urgency and feasibility of group-assigned projects prior to investing time, effort, and funding in them. Lastly, this framework informed the need for further clarification and evaluation of identified projects as critical steps in project prioritization. There are numerous challenges to effectively performing decision-making in the context of prioritizing organizational projects, particularly in clinical research administration where shifting priorities are a constant. Therefore, the strategies outlined here may be beneficial and transferable to other clinical research administration settings, and beyond. Prior to the passing of California Assembly Bill 20 (AB20) and the implementation of the California Model Agreement (CMA) in 2015, the proposal and award process for the California public university systems and the state of California was slow-moving, administratively burdensome, and inconsistent in contracting for research, training, and public services. The CMA was developed as a streamlined and collaborative vehicle for the state to conduct business with the University of California (UC) and the California State University (CSU) systems. The CMA has passed its three-year anniversary and has, in general, been effective in both standardizing proposal applications and submissions and in reducing the time and effort required to secure agreement. This study uses a mixed methods research approach using survey and interview instruments to: 1) determine the effectiveness of the current state contracting process in California; 2) identify successes and challenges of implementing this campus-wide pre- and post-award Sponsored Projects model; 3) collect suggested improvements to the process; and 4) offer recommendations for further implementing a model agreement proposal and award process. The national need for higher education research has increased over the years with the growth of societal issues. Funding for this research is often acquired through competitive grant proposals due to the lack of internal funding in most universities. The skills required to write the grant are sometimes lacking and represented in current literature as a barrier to attaining grants. Informal grant proposal education often comes in the form of “learn as you go” or through unstandardized online tools or communications. Formal grant proposal education, often presented in undergraduate or graduate education, or through formal grant-funding organization workshops, are often mentioned in current literature as a way to increase the opportunity for a successful grant application. According to the literature, there was a need to determine the current status of grant proposal education. The purpose of this study was to determine whether, and how, higher education faculty members have been educated on how to seek out and apply for external grant funding, and whether or not the area of study they specialize in influences formal versus informal grant proposal writing education for faculty members. According to the results, faculty are educated both formally and informally in various settings, the discipline was significantly related to type of grant proposal education received, and informal education, rather than formal grant proposal preparation, tended to be more successful in number of grants and total dollars attained for this sample of the population. Over the last decade, a wealth of empirical evidence has accumulated describing the merits of team-based, collaborative, and interdisciplinary research, including: increased productivity among researchers, greater citation impact, increased multi-sector engagement, and the generation of novel solutions to grand challenges. Funding agencies have accordingly increased the frequency of large-scale collaborative and partnered grant opportunities. However, institutional structures and processes can inadvertently limit team-based interdisciplinary research at universities. Research Clusters (which we define as interdisciplinary networks of researchers who organize to solve key challenges facing society) provide a flexible and adaptable mechanism to enable collaborative research across internal and external institutional boundaries. Versions of research clusters are now commonly a central theme in research strategic plans at universities, but there remain very few resources available to research administrators and leadership to support the development of their internal strategies and processes to support research clusters. Here, we describe our experiences developing and implementing initiatives to catalyze clusters of research excellence at the institutional level and reflect on early successes and challenges. We share our framework for identifying, evaluating, and catalyzing research clusters and provide specific examples of internal processes and analytical tools that we have developed.